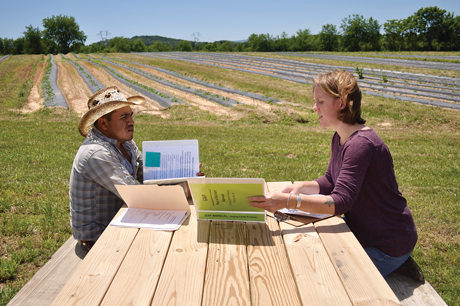 As part of its grower services program, the Local Food Hub’s Adrianna Vargo conducts a mock audit of Singing Earth Farm in Augusta County. 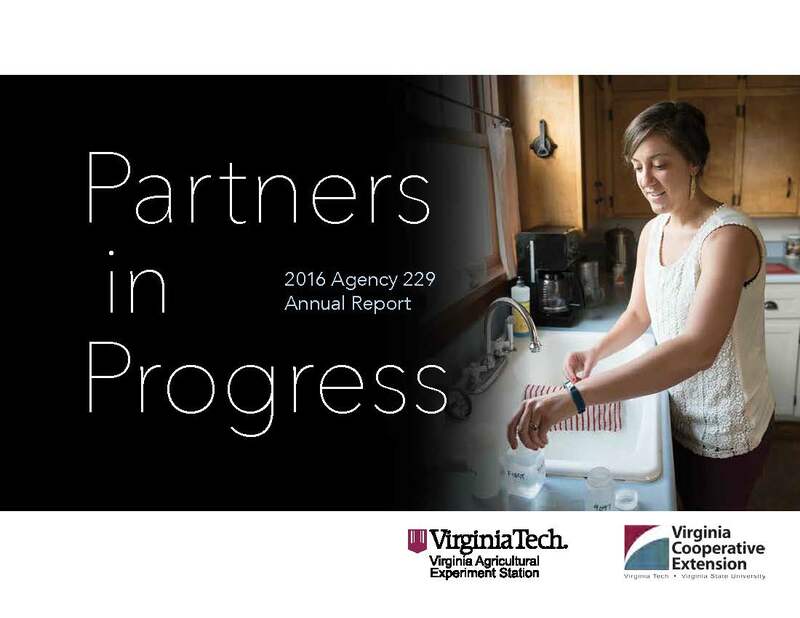 Adrianna Vargo, director of grower services at Charlottesville’s Local Food Hub, has collaborated with Virginia Cooperative Extension to get critical information to growers regarding the Food and Drug Administration’s new Food Safety Modernization Act. 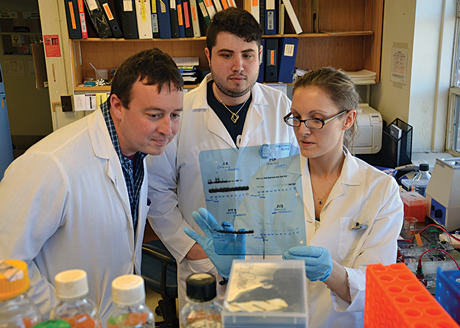 Its aim is to make the food supply safer by shifting the focus from responding to food contamination problems to preventing them from occurring. The policy is the most sweeping reform of U.S. food safety laws for both human and animal foods in 70 years. Vargo and Extension have acted as boots-on-the-ground liaisons for more than 60 growers throughout Virginia and in North Carolina by providing critical workshops to ensure producers will be able to comply with FSMA legislation. While implementation of updated food safety rules could be tricky for producers and others in the food supply chain, the new FSMA rules have been on Virginia Cooperative Extension’s radar for a long time. Extension has already been training growers and listening to the challenges they could face when the new rules go into effect after a grace period over the next couple of years. Laura Strawn, an assistant professor of food science and technology and produce safety specialist at the Eastern Shore Agricultural Research and Extension Center, heads up technical resources, education, and outreach for Virginia through the FSMA Southern Training Center, part of a network of USDA-funded regional centers charged with helping stakeholders comply with FSMA rules. The Southern Training Center, represented by academic and industry experts, uses a “train the trainer” model to train others about the new regulations and requirements. Ultimately, these new trainers teach the growers. As a lead instructor in both the Produce Safety Alliance and the Food Safety Preventive Controls Alliance curricula, Strawn has partnered with several grower associations and commodity boards, including the Northern Neck Vegetable Growers Association and the Virginia Apple Board, as well as the Virginia Department of Agriculture and Consumer Services and nongovernmental organizations like the Local Food Hub to provide FSMA trainings.